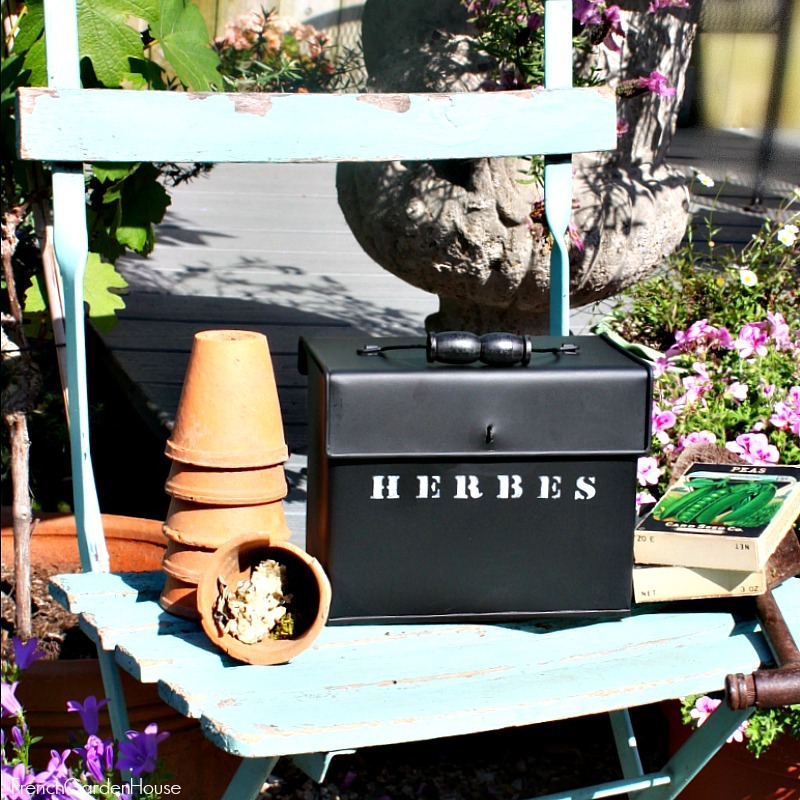 The perfect gardener's gift for anyone who loves to spend time in their garden. 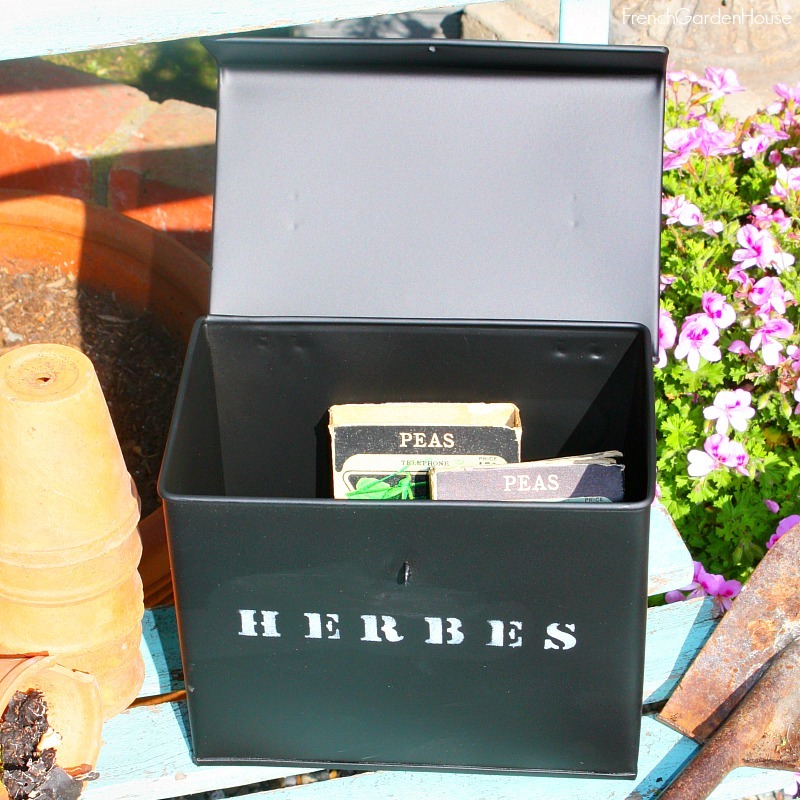 This stylish tin is perfect for staying organized, to store all your favorite seed packets of all sizes in this handy storage box. Designed to fit larger seed packets, this charming black metal box will keep all your seeds together in one handy place. 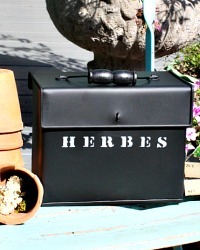 Hand stenciled with the French "Herbes", this country style box has a wood handle to help you carry it out to your kitchen potager. Made for us in limited quantities for this planting season. Measures 7" x 5-1/2" x 4-1/4".